Some tried and true football guys have been making big-time political gains this week. Just one day after two retired football players were elected to the U.S. Congress, Attorney General Jeff Sessions submitted his resignation. In his place, President Donald Trump appointed Matthew Whitaker as the new acting AG. But prior to Whitaker's political career, he suited up for the ​Iowa Hawkeyes as a tight end between 1990 and 1992. 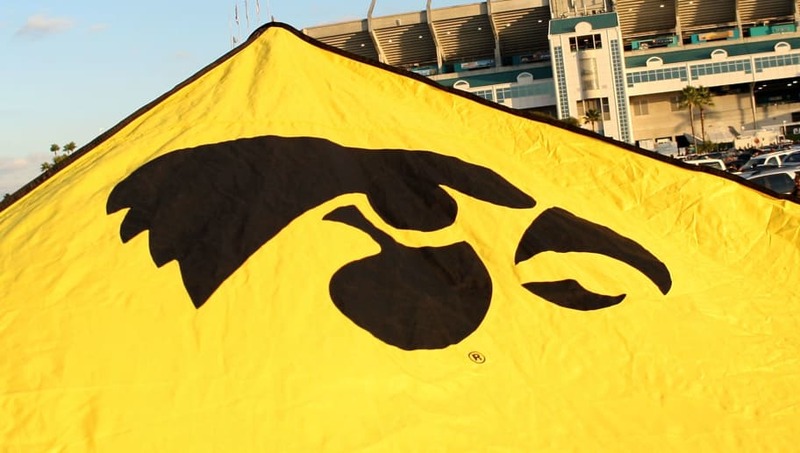 Hawkeye fans ought to be pretty pleased with this latest White House decision. Whitaker's political career has been far more successful than his football career. In his first college season, the Des Moines native had just two receptions and one touchdown in the 11 games he appeared in. He was fortunate enough to play in the Rose Bowl, but the Hawkeyes unfortunately lost the game to Washington. The 1991 and 1992 seasons were equally underwhelming from an offensive perspective, however he did log 112 yards in the '91 campaign. All told, his time as a U.S. Attorney was a bit more noticeable. BREAKING: Trump says Sessions’ chief of staff Matthew Whitaker will become acting attorney general. Just how Whitaker guide the Justice Department can't be known quite yet, but it's likely that he'll have a hard time making it to any ​Hawkeye games as he transitions into his new role. One day, Matt! One day.